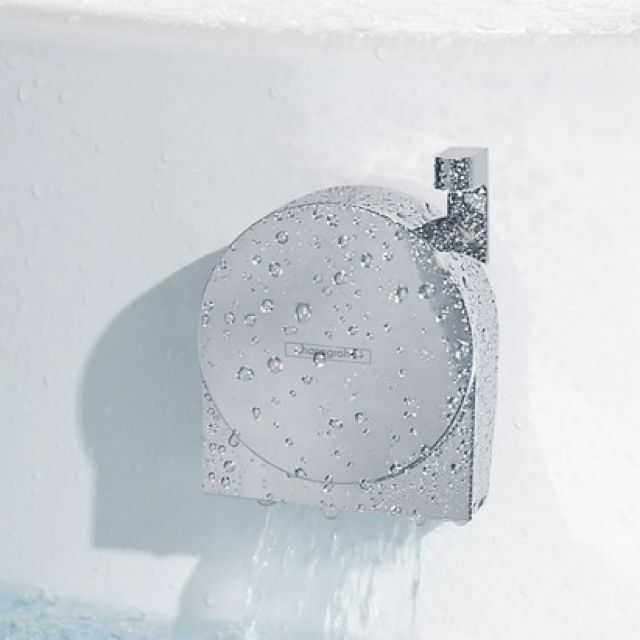 Combining the water outlet, overflow and waste control into a cohesive package, with the former into a single unit, this is a sleek option for the bathing space that demands the best in contemporary design solutions. When applied to the bathtub, a trim and clutter-free space is formed, giving you the haven you deserve to unwind in peace and privacy. 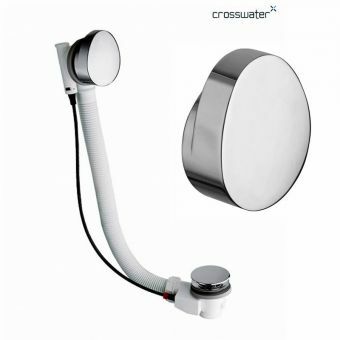 By removing the need for traditional tap sets, the Exafill S Bath Filler is a sleek piece of precision design. Included in this suite is the waste control outlet, which bears a discrete finish and a design made for total convenience. 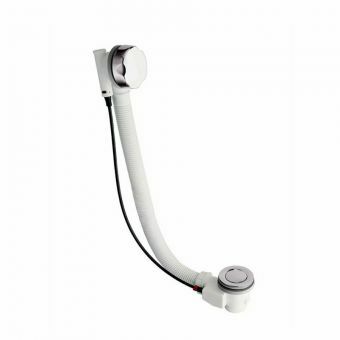 Avoiding the traditional plug and chain set that can make a bathtub look cluttered, the bath waste kit gives a quick release of bathwater. 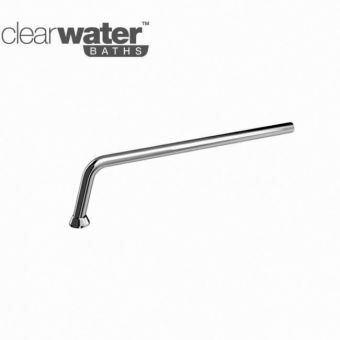 Measured in size to fit both standard and large bathtubs, this is the perfect solution for the contemporary, rimless bathtub, acting as it does as a viable alternative to deck mounted or wall mounted taps. Please note that this set requires additional internal components, which may be ordered separately. 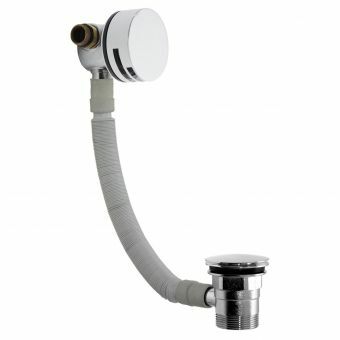 When renovating or just updating your bathroom to an elegant and luxurious style, it is important to make sure you match the new high-quality furnishings with well-made, long-lasting, parts such as the Hansgrohe Exafill S basic set. 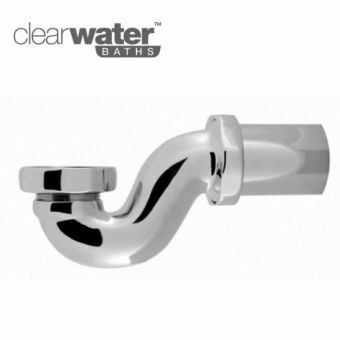 This is a waste and overflow set designed for standard or large bathtubs. 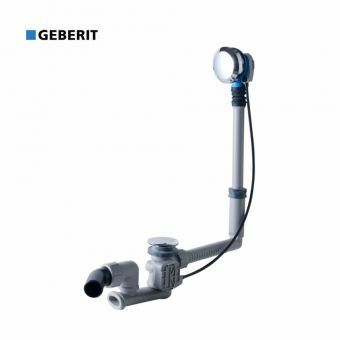 It is suited to specific, special baths, and to those with slanted rims. 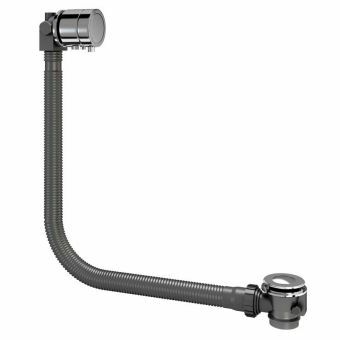 Choose the basic set first and then you will also need to order the Hansgrohe Exafill Trim Set, made of plastic with a chrome appearance. This is the set for standard and special baths and contains the fittings that are seen on the inside or outside of the bath. 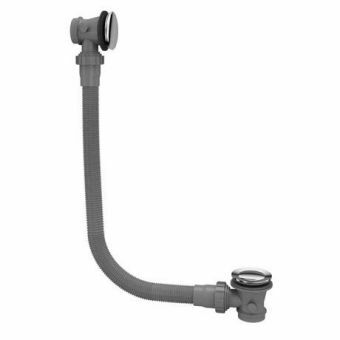 Made of plastic, the Hansgrohe Exafill S basic set is a left fitting pipe that is 3/4". It is also Water Regulations Advisory Scheme (WRAS) certified, which means it meets the Water Supply and Fittings Regulations 1999.